BE READY. FEEL READY. Run by Midwives, a modern approach to antenatal education alongside pre and post birth support. Offering friendly, accessible and supportive information in a variety of settings to suit you. Being qualified midwives, having experience in all areas of antenatal, birth and postnatal care, a background in counselling and group work and not least personal experience of being a mum, we understand the challenges of preparing for labour and birth, not to mention becoming a new parent. We believe knowledge and information are powerful tools when it comes to understanding and preparing for what lays ahead. The subjects covered are extensive and thorough, providing an insight to all aspects, encouraging discussion and strategy building. With a passion for sharing comprehensive, balanced information in a fun and friendly environment, we hope you leave feeling equipped, confident, supported and excited. Whether you choose a group setting, our bespoke, one-to-one service in the comfort of your own home, breastfeeding preparation session or just our post birth support service, our modern approach to delivering accessible information is up-to-date, evidence-based and appropriate to you. Our holistic approach recognises that, from the beginning of labour right through to a new life as a mummy or daddy and the post birth period - with all it entails - your physical and emotional health and well-being are equally important. Support is crucial. Its all about getting you off to the right start, ready for the next step in becoming a family and able to enjoy every minute. What will it be like? What to do. Who can I ask? What can I expect? Being a new parent. Limited size, friendly, informal sessions offering up-to-date, appropriate information on a range of subjects. These groups are focused on one topic per session (e.g., preparing for labour and birth, preparing for infant feeding) and are charged per individual session. Available to both individuals or couples. Already parents? A while since you had your last baby? All births and babies are unique so these sessions are valuable for both new parents to be as well as those who have been there before - the updated information, support or reassurance may be all you need to feel ready. A one to one session held in your own home to help prepare you for feeding your new baby. Breastfeeding is challenging and tiring but if you understand what to expect, you can take the harder days in your stride and have the confidence to keep going. Covering all aspects of breastfeeding your baby from techniques, baby's feeding behaviours, understanding what's normal and what's not to breast care. Possibly the most important and often overlooked is the post birth period. The first few weeks after the birth of your baby is when you can be at your most vulnerable. We offer a home visit service, offering you support and information on infant feeding, emotional issues, confidence building or just a general 'you're doing ok' chat. AND its not just for mums, partners can also face some bumps in the road and need a helping hand too. We can visit at home on an ad hoc basis or at pre-arranged times, its up to you. Just get in touch. Open to all, this group is a place to get together with your baby and catch up with new friends, chat and have a cuppa in a relaxed environment. With a midwife on hand to offer support and to signpost you to the right people if an extra hand is needed. If you prefer the privacy of your own home to groups or prefer days to evenings, you might want to know about our bespoke service. Charged by the hour, we can come to you and deliver, from a range of subjects chosen from our 'menu', as much or little as you like. You can have this in one session or you can opt for more - entirely up to you. Available to individuals, couples or small groups. 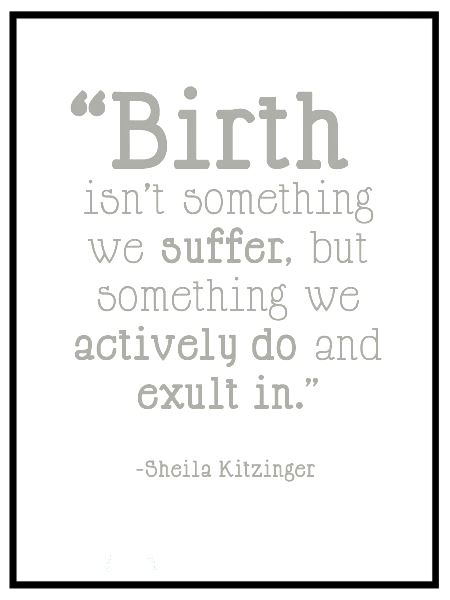 Coping in labour and what you can do. What other help is available. How you and your partner can influence how you feel. What to expect when baby is ready to be born. What partners can do to help. What happens after birth - what to expect once baby is born. When extra help may be required - how to prepare for the whys and what ifs. Instrumental and Caesarean birth covered. What to expect if you go past your due date. Post-partum care - emotional, physical and practical for mum and baby. Infant feeding - balanced, supportive, non-judgemental information. Breast care and breast feeding information- be prepared so you take it in your stride. Practical parenting - what do I need for hospital? How do I care for baby? What do I do? How to know if your baby is poorly. Transition from being a couple to being a family - be realistic, be prepared for the rollercoaster. From heart melting moments to tears and frustrations. Post-natal support - relaxed social get-together to share and care with others in exactly the same place as you. Realising things are just 'normal' and you're doing a good job makes a difference to how you feel and your confidence. Between 1.5 - 2.5 hours per sessions dependent on the topic covered. For the first few vulnerable weeks after baby's birth. Can be pre-arranged or on an ad hoc basis covering all west Yorkshire. Other areas considered on application. One to one session in your own home. Privately, in your own home so you can cherry pick your subject material at a time to suit you. We had our antenatal classes in the comfort of our own home. Siobhan and Jess put us immediately at ease, with their relaxed approach and fountain of knowledge. All the information they provided us has been really useful. We now feel more prepared for the journey ahead. I would thoroughly recommend their classes. My husband and I recently attended the antenatal classes in Horbury led by Jess and Siobhan. We learnt lots and really enjoyed the sessions. We were made to feel comfortable and able to ask any questions. All explanations were really clear and easy to understand. We are looking forward to applying our newly found skills when our baby arrives. put us at ease with our many questions. Highly recommended! The classes had a really nice atmosphere. They were informative and interesting. I would recommend to anyone. Jess and Siobhan were really patient and the classes never felt rushed. Thank you!